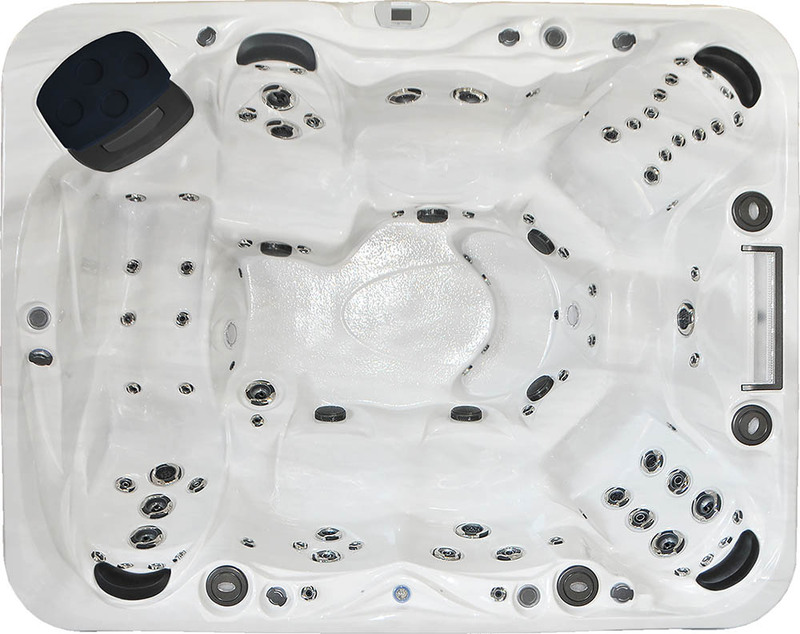 More than a hot tub, the PR982 will be the focal point of your back yard. A standard surround sound stereo system with blue tooth, pop up speakers and a robust sub-woofer will make it your favorite entertainment center for family and friends. The PR982 seats seven people, it has eighty two (82) custom designed and strategically placed jets, three high performance therapy pumps and a 24 hour circulation system, which will provide you with a clean, safe and enjoyable hot tub experience. If your sights are set on the best, look no further than the Premium Spas line.